Geodyssey is led by a team of three. Gillian founded Geodyssey in 1993 with her husband John and they still run the company very much as a personal mission to help others enjoy the amazing experiences that Latin America offers. She has probably travelled more widely and more deeply in Latin America than any other travel company owner in the UK. She is still very much on the front line and available to all Geodyssey's customers for help and advice. 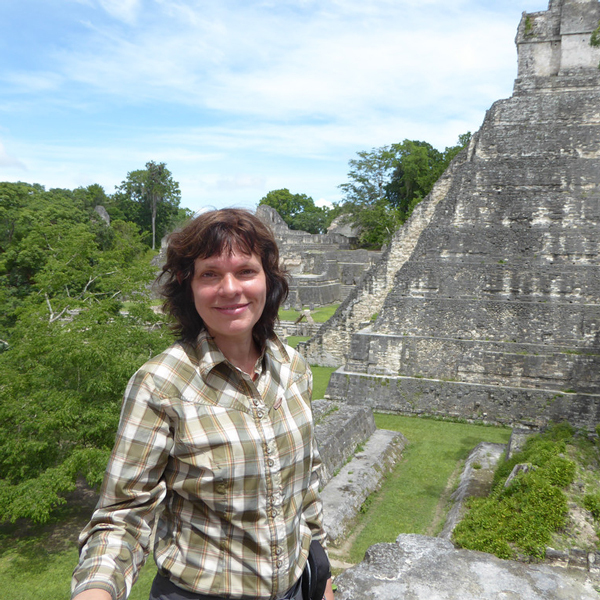 Gillian's passion for travel and all things Latin American is deeply rooted. An inspirational teacher introduced her to South America's incredible geography, ways of life and ancient civilisations. She went on to study geography at Durham University, with an emphasis on development issues, and soon made her first visit to Peru. She continued her travels during five years as a professional conference organiser arranging major international events: trekking in Nepal and Java, exploring Morocco, Egypt, India and parts of South East Asia, and going off the beaten track to Lake Turkana in Kenya, and around Sulawesi and Malawi. After a life-changingly good trip to the 'Lost World' of Mount Roraima in Venezuela, she and John took the decision to start Geodyssey, with a passion for real-life travel experiences, eco-tourism and sustainability as part of its founding ethos. Gillian has a refreshing perspective on travel. She is as happy off-grid in a hammock in the jungle as in the latest hip hotel, and as delighted to be bouncing around in a jeep on a dirt road, pottering along rainforest rivers in a dug-out, spotting hummingbirds or trekking in the Andes as sampling the spa in a luxury wine lodge, stepping out in Copacabana, or working her way through the tasting menu in the latest Lima restaurant. She says "What matters is the quality of the experience - an indefinable thing, the care taken, and the people we meet along the way." She likes nothing better than chatting with clients, hearing what they enjoy, and then designing an itinerary to suit them best. It is little surprise that Tenille stepped into a career in travel. With parents in the British diplomatic service she grew up all over the globe including some of the more off-beat destinations such as Libya, Jordan and the Ukraine. She has a degree in Latin American studies from Leeds University, which included an exchange year in Belo Horizonte, Brazil where she developed a fanatical passion for Brazil. She spent all her available time travelling in this amazing country, and returned post-graduation to assuage her 'saudades' for it. Back in the UK she immersed herself in London's busy Latin American scene, constantly on the look-out for the latest Latin American restaurant, music night or cultural event. On joining Geodyssey in 2007 Tenille's first familiarisation trip was to Costa Rica, where she spent a month travelling the length and breadth of the country. She fell hook line and sinker in love with its natural beauty, abundant wildlife, commitment to eco-tourism and 'pura vida' attitude. 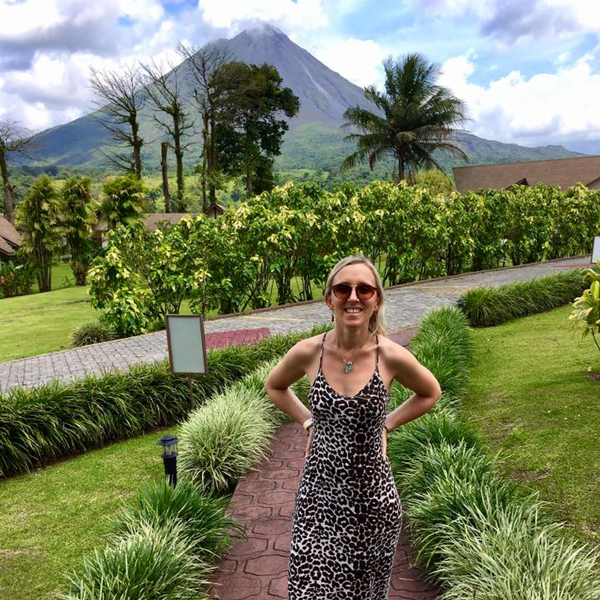 She has returned almost every year (sometimes more than once) and now spends almost as much time in Costa Rica as in the UK, these days as the third member of Geodyssey's senior team. Asked to list her stand-out travel moments, Tenille picks dusk-till-dawn revelling on the streets of Port of Spain in Trinidad's Carnival (in Tenille's opinion the mother of all Carnival parties - even better than Olinda in Brazil), spotting a rare snow-capped hummingbird hovering around a vervine bush on an impromptu rest stop driving through Costa Rica's Central Valley, snorkelling with turtles and sea lions in the Arcadian paradise that is the Galapagos, learning to surf on Costa Rica's wild Pacific beaches, touring Ecuador's stunning Quilotoa Loop for dramatic Andean scenery and an insight into local rural life, enjoying old school glitz and glamour at the Tropicana cabaret show in Havana, and standing atop Sugar Loaf mountain as dusk sets in and the lights of Rio begin to sparkle. By his mid-teens John had explored most of Europe, thanks to family holidays led by his adventurous multi-lingual father. He then spent 4 months travelling in the USA, camping in Maine, hitch-hiking on Route 66, catching Jimi Hendrix's last US concert and delivering a classic convertible from California to Connecticut. Arriving at Oxford he was startled to find all his lectures were early in the morning and the college gates were locked at midnight. Somehow managing to survive, he contributed to the research group that later developed the blood-glucose monitor, while those below him prepared themselves to invent the internet or become Mr Bean. Back in the US he began doctoral research in organometallic electrochemistry, but rapidly realised his mistake. Moving to London to study law he was recruited by a long-established restaurant and property company in Mayfair, where he became a director, construction manager and wine buyer, before gaining his MBA at London Business School. He joined a FTSE 100 company with interests from film and TV to hotels and precision engineering, then created a specialist strategy consultancy and a group to advise universities and government researchers on getting new science to (a) work and (b) make the transition to commercial life. Somewhere in the middle of all this he met Gillian and extended his travels to many of the exciting places she lists above. In the last year or so John has been birdwatching in Costa Rica, trekked to the base of both Torres del Paine and Mt Fitz Roy, been sailing 'down de islands' between Trinidad and Venezuela, spent a short time with Maximón in Santiago de Atitlan, explored Mayan ruins in Guatemala and Honduras at unusual times of day, toured coffee farms in El Salvador and vineyards in Chile, and photographed everything from viscachas in the Atacama desert to countless hotel bedrooms from Tierra del Fuego to Chichicastenango. 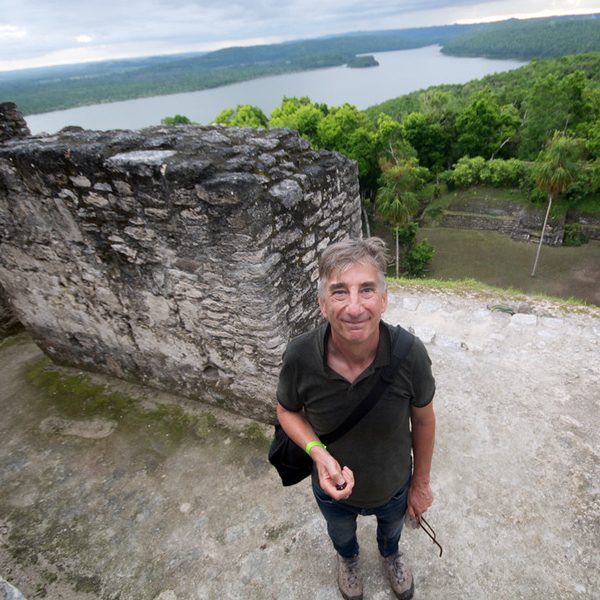 John serves on the Council of the Association of Independent Tour Operators, and the committee of the Neotropical Bird Club.